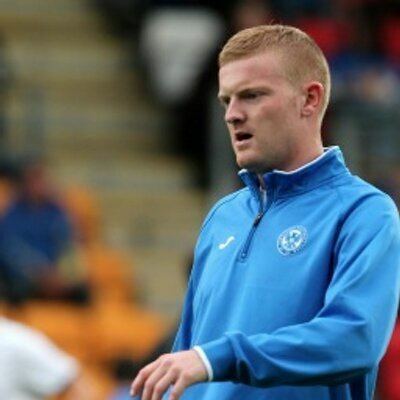 Brian Neil Easton (born 5 March 1988) is a Scottish footballer, who currently plays for St Johnstone. Easton started his career with Hamilton, winning the Scottish First Division championship in 2008. He was sold to English club Burnley in 2009. Easton left Burnley at the end of his contract in 2012 and then signed for Dundee. In June 2013, Easton's contract ended with Dundee and he signed a one-year deal with St Johnstone. Easton started his career with Hamilton, making his debut, coming for Javier Payo as a substitute on the 70th minute, in a 1–0 win over Dundee; on 29 September 2006, Easton received a straight red card in a 1–1 draw against Queen of the South. On 3 March 2008, Easton scored his first goal of his career in a 3–0 win over Airdrie United. Since making his debut, Easton increasingly has been used in the first team throughout his Hamilton's career and made thirty-two appearance. The next season, Easton continued to be involved in the first team, making thirty-six appearance and in May 2008, Easton was awarded the young player of the month for April. Shortly after, Easton signed a new three-year contract with Hamilton after impressing during the 2007–08 season, helping his side to the Scottish First Division title. The following season, with Hamilton promoted to the Scottish Premier League, Easton made his Scottish Premier League debut, as Hamilton beat Dundee United, giving Hamilton a winning start, on the opening game of the season. On 25 October 2008, Easton scored his first goal in the Scottish Premier League, against Rangers in a 3–1 loss; on 22 November 2008, Easton scored an own-goal, as Hamilton drew 1–1 with Dundee United. Easton made his 100th league appearance for Hamilton against Motherwell on 16 May 2009. In the January transfer window, the club's chairman Ronnie MacDonald said he refused to sell his youngsters, especially Easton, as he has attracted interests from clubs in England. Easton's good form throughout the season attracted the interest of Derby County manager Nigel Clough. With an interest from Derby, Easton insisted the transfer surrounding didn't affect him. On 29 January 2010, Hamilton welcomed back Easton on loan until the end of the 2009–10 season. One day later, Easton made his debut in a 1–0 loss against Celtic. After the match, Easton said he could help the club stay in the SPL. Easton also said his return to Hamilton makes him a better player. In April, Easton said he wanted to keep his loan spell, until the end of the season. At the end of the season, Easton has since established himself in the first team, helping the club from relegation and returned to his parent club. Burnley agreed a fee with Hamilton for Easton's transfer on 13 July 2009. Easton signed a three-year contract with Burnley the next day. Easton made his Burnley's debut in a friendly match, in a 5–0 win over VC Fusion. 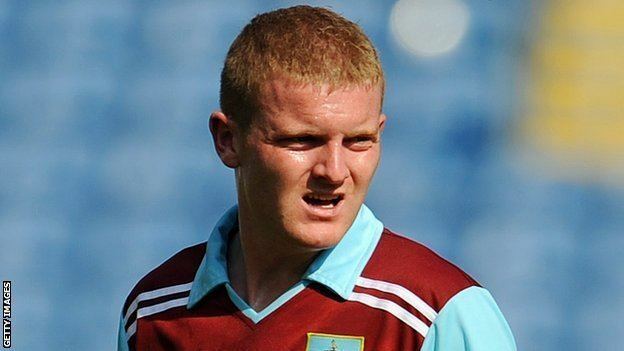 Easton made his League Cup debut, in the second round, as Burnley win 2–1 over Hartlepool United. However, Easton had yet to make his Premier League debut, having his first-team opportunities limited and was loaned to Hamilton. Despite lack of first team, Easton says he didn't got a good start at Burnley, like he expected and taking his chance at Burnley when it comes. At the end of the season, Easton says he vowed to become a regular player next season, with the club relegated back to the Championship. Upon his return, Easton was continuous be left out of the squad from the start of the season until October, when Easton made his league debut for Burnley on 19 October 2010 against Barnsley after stepping in for the injured Danny Fox. He scored his first goal for Burnley in a 3–2 defeat to Leeds United on 11 December 2010. After the match, Leeds United manager Simon Grayson described Burnley win as "a great result". However, Easton first-team opportunities limited still continued during the season, having been unused substitute in the matches. Ahead of a new season, Easton's playing time rose, playing in the left-back position, after Fox left for Southampton and says he is expected to earn his chance in the first team. Later in the season, Easton established himself in the first team for the first half; however, Easton first team soon went down, due to arrival of Daniel Lafferty and good forms of Kieran Trippier and Ben Mee. In May 2012, Easton was released by the club after the expiry of his contract. Previously, Manager Eddie Howe said Easton will leave the club and will not be offered a new deal when his current deal expires, having no future at Burnley. Easton signed for Scottish Premier League club Dundee on 6 September 2012. After joining Dundee, Easton revealed that Kevin McDonald played the role of Easton joining Dundee, having found himself in limbo. Having been unused substitute in the last three matches, Easton finally made his debut, making his first start and playing 90 minutes, as Dundee lose 3–0 against Hibernian. Soon after, Easton suffered a hamstring injury, during a 2–0 loss against Aberdeen, having come-off in an early minute and the injury ruled him out for two months. Despite making only seventeen appearance, Easton was released along with ten players following Dundee's relegation. 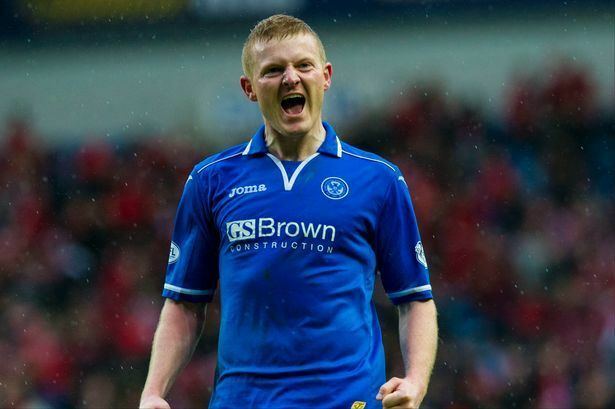 On 8 July 2013, Easton signed a one-year contract with St Johnstone after being released by Dundee. After the move, Easton vowed to hard his way to the first team. Easton made his debut, playing in the left midfield, in a 0–0 draw against Kilmarnock, where he make his first start before coming off in the second half. Easton established himself in the left back position. In late-December 2013, Easton sustained a hamstring injury during a match against Dundee United and was out for a few weeks. Having made sixteen appearance so far, it announced Easton, along with Tam Scobbie, had signed a new contract extension at the end of the 2014–15 season. Towards the end of the season, Easton would be often used in first-team ins and out, due to his injury concern. Easton made his return on 29 March 2014, in a 1–1 draw against Partick Thistle. In the Scottish Cup Final, Easton started as a left-back when St Johnstone beat Dundee United 2–0 to win the Scottish Cup in their first-ever Scottish Cup Final win in their 130-year history. Easton made his debut for Scotland's under-21s against Northern Ireland, at New Douglas Park, in November 2008. 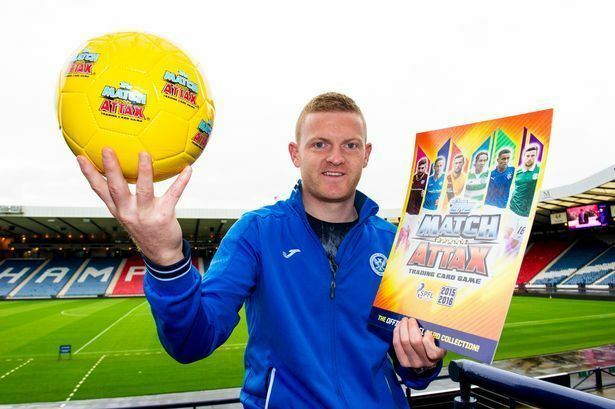 He then represented the Scotland B side in May 2009 against the same nation.